Aging is something that we all experience but just because we are all getting older, it does not mean we have to surrender to the effects of old age. 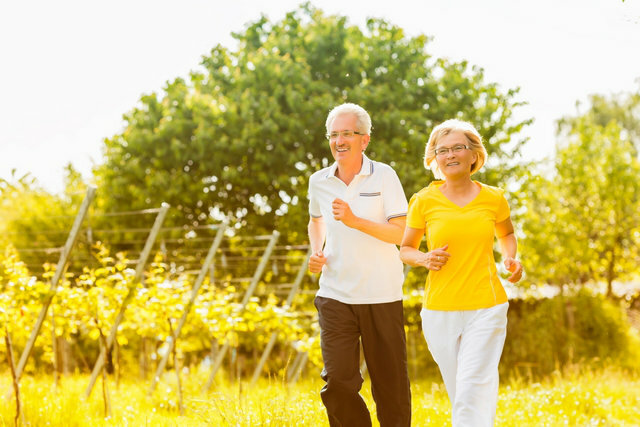 Through some healthy lifestyle choices and with the support of professional in-home care services such as Lowenhill Home Care Services, it is possible to live the kind of life you love. There is a multitude of different ways to improve and maintain your health but one of the most simple and effective options at your disposal is exercise. Regular physical activity can do wonders for your health. By exercising on a daily basis you will notice many things such as improved strength, energy, balance, and flexibility. It can even help you feel happier. It does not matter what kind of exercise you choose, as long as it is something that can help you work up a sweat. Our professional caregivers can even provide you with the support you need to ensure you can work out safely. Another crucial aspect to a healthier, younger, and more independent lifestyle at an advanced age is your diet. Food is critical to our health as it provides our bodies with the nutrition and fuel it needs to get through the day. For this reason, it is vital to improving your diet with healthier alternatives. Eating better food and reducing the amount of junk food you consume on a daily basis can improve your health and even give you a more youthful appearance. Another way to help maintain your youth is through in-home care services. These services can provide you with the daily assistance you need. Through our personalized services, we can not only help you around the home, but we can also help take care of you. These services are great because they can help reduce stress and provide you with more time and energy to pursue the things you love doing. Do not let old age dictate what you can or cannot do! With some basic lifestyle changes, it is possible to live the life you want, even at an advanced age. Our services are also personalized to your unique needs, so you can receive the convenient support you need every single day.